Greka Engineering has an experienced management team with good corporate governance track record and experience in dealing with cultural and ethical challenges of doing business in China at local, provincial and central levels. Most of our management are local Chinese with strong industries knowledge and governance. Mr. Zeiter joined Greka Engineering as President and COO in January 2018. 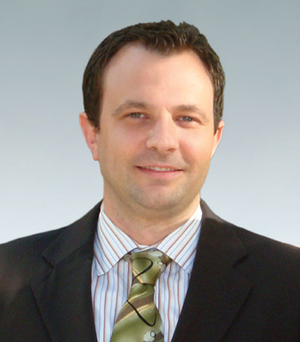 Prior to joining Greka Engineering, Mr. Zeiter was the Founder, CEO & President of Zeit Energy in 2009 in Dallas, USA. He was responsible for the company growth and strategic implementation of natural gas application in the alternative energy sector for transportation in the USA. Prior he worked as Senior Manager at Atmos Energy in Dallas, USA and gathered strong experience in the natural gas utility industry. Mr. Zeiter joined Credit Suisse on a consulting assignment in 2006 as a Senior Business Analyst in Zurich, Switzerland. His early career he started as Project Manager at Atlas Copco in Dallas, USA from 2002 – 2006. Mr. Zeiter holds a Master of Business Administration from Southern Methodist University, Edwin L. Cox School of Business, Dallas, USA and a Bachelor of Science in Electrical Engineering from Lucerne State University, Lucerne, Switzerland.